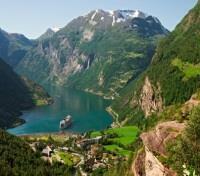 Sail into the UNESCO-listed Naeroyfjord on a boat cruise. 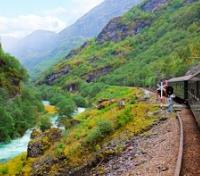 Travel into the lush landscapes of Norway on rail journeys. Get up close and personal with the Briksdal Glacier with expert guide. 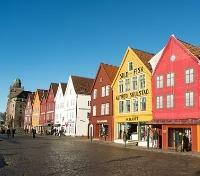 Discover Oslo, Bergen & Lillehammer with private guide. As your small safari-like vehicle creeps ever so gently over the frozen plains of Briksdal Glacier, Norway’s fabled blue ice is suddenly revealed to you in an explosion of brilliant color that appears illuminated from within. This breath-taking trip will take you deep into the majestic panoramas of Norway as you travel by road, rail and sea to explore every inch of this incredible landscape. Your experienced team of local guides and private drivers ensure you will not miss a thing, and you’ll stay at a collection of comfortable hotels that have been carefully selected for their rich local culture and commitment to quality. For your added comfort, an English-speaking assistant will meet you at your hotel to walk you through your welcome package documents, your itinerary, and answer any questions you may have. Meet your private driver and vehicle for an airport transfer. A welcome package with a city map, train tickets (if relevant), and any other touristic information that we deem you may find useful, will be provided to you on your first day in destination. 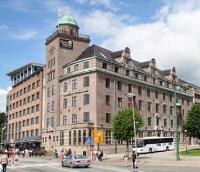 Clarion Collection Hotel Havnekontoret is centrally and beautifully located by the historic Bryggen quay in Bergen, an area characterized by charming streets and historic buildings. From here, the city's selection of shopping, attractions and restaurants are all just a few steps away. The hotel's 116 guestrooms are unique, stylish and comfortable, featuring views of the courtyard, quay or sea. Enjoy afternoon sweets or an evening meal at the hotel's on-site restaurant, or sink in to some alone time at the relaxation area, offering a steam bath and sauna. Stay connected with free, unlimited wifi internet access throughout the hotel. 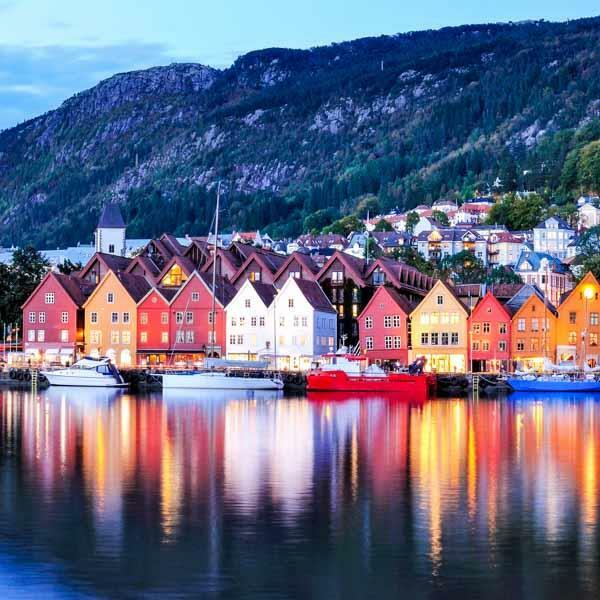 Depart your hotel on foot alongside your private guide, setting out on a highlights walking tour of the colorful city of Bergen. 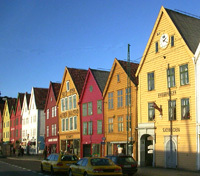 You'll stroll through the old wharf area known as Bryggen, a UNESCO World Heritage Site revered for its Hanseatic commercial buildings, a nod to Bergen's former importance in the 14th-16th century Hanseatic League empire. Visit the town's traditional fish market, a lively and oddly picturesque area where the local catch has been traded for over 800 years. Discover small wooden houses from the 18th and 19th century, tucked away on charming streets and narrow alleyways, and enjoy a round-trip ride on the Floibanen funicular railway to the top of Mount Fløyen, offering magnificent views of the city below. 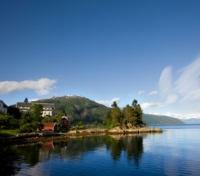 Meet your private driver-guide and vehicle, departing Bergen for a full-day transfer to Balestrand. 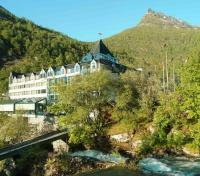 En route, you'll arrive to the historic town of Voss, with a stunning background of snow clad mountains. Here you'll board a train which will take you across the mountain plateau to Myrdal where you change to the world-famous Flam Railway, regarded as one of the most spectacular rail rides in the world. Descend down from the mountain station of Myrdal through incredible scenery to the quaint fjord village of Flam, where you'll once again meet up with your driver-guide. Board a ferry which sails through the UNESCO World Heritage-listed Naeroyfjord en route to Gudvangen. The Naeroyfjord is a magical stretch of the fjord where your boat will glide so close to the narrowly separated cliff walls that you'll almost feel as if you can reach out and touch them. From Gudvangen, drive over the mountain to Vikoyri, and eventually Vangsnes- from where you cross the lovely Sognefjord by ferry, the longest and deepest fjord in Norway. You'll disembark in Dragsvik and take a short transfer to your hotel in Balestrand, located on the edge of the stunning fjord. 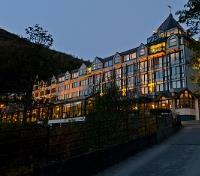 Kviknes Hotel, beautifully located beside the Sognefjord in Balestrand, is a contemporary Swiss-style hotel with old world charm. Graced with an extensive collection of artworks and antiques, the hotel oozes history with its owners, the Kvikne family, having hosted guests here since 1877, while the hotel's traditions of hospitality date back even further, to 1752. Royalty, emperors, presidents, prime ministers, film stars and artists from many countries can be found on the past guest list. 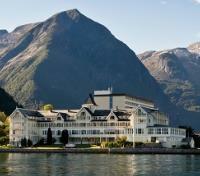 Guestrooms are located across both the historical and modern sections of the hotel, some featuring views of the fjord or Balestrand city sights. Dine at the onsite restaurant, offering an evening buffet or 4-course dinner menu, or just relax in a comfortable chair in the garden, and enjoy the sweeping views of the surrounding nature, mountains, and the Sognefjord. This morning, set out with your private driver-guide for a transfer to Geiranger. Along the way, you'll be taken across Gaular Mountain to Jølster and onwards to Skei, located at the foot of Europe’s biggest mainland glacier named Jostedalsbreen. After a short break you continue your journey towards the Briksdal Glacier in Jostedalsbreen National Park, the highlight of your day. Here, you travel by small motorized buggies or 'troll cars', to the very snout of the glacier and experience the breathtaking blue ice, which terminates below in a small, pale glacial lake. You'll head back to your private vehicle again, driving via the picturesque villages Loen and Stryn, and onto the Hellesylt ferry to Geiranger, where you'll overnight in the wonderful surroundings of mountains and fjords, getting the most out of this extraordinary part of the world. Hotel Union is located in Geiranger, on the Geirangerfjord, one of the most exceptionally beautiful landscapes in the world, and a UNSECO World Heritage Site. All 197 rooms and suites are attractively furnished and decorated with care and attention to detail, providing views of the surrounding countryside or fjord, bringing nature right into your room. Pamper yourself at the spa, check out the on-site vintage car museum, lounge at the indoor or outdoor pool, or grab a cocktail at the bar and nightclub. Hotel Union has it all. Taste wines with a sommelier in the wine cellar, sink into a sofa at the lobby bar, or sample the very best ingredients at the hotel's restaurant. With a fourth generation of hosts at the helm of your experience, Hotel Union has perfected hospitality. Set out on a half-day tour with your private driver-guide, along Norway's National Scenic Route to the Dalsnibba Skywalk. Along the way, you'll get to pause for fresh air and a photograph at Flydalsjuvet, a stop on the NSR that offers spectacular vistas out across the picturesque Geirangerfjord. Then, at 4,900 feet above sea level, the Dalsnibba Skywalk offers what essentially feels like standing on top of the world. Standing near the railing, gaze out over the majestic scenery of snow-capped mountains and the remarkable Geirangerfjord, a view you'll never forget. Today you'll depart from Geiranger in the company of your private driver-guide, heading to Lillehammer, forever remembered as the host of the 1994 Winter Games. Driving through the scenic mountains of Stryn, you'll arrive in Lom, a traditional area of the country where you'll visit the Lom Stave Church, one of the last remaining stave churches in Norway. 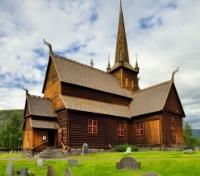 Stave churches are categorized specifically for their medieval timbered structures, with this particular church in Lom dating back over 850 years. Catch a glimpse of the few Runic inscriptions which still remain to this day, as well as paintings from Eggert Munch, a distant relative of world renowned Norwegian painter Edvard Munch. 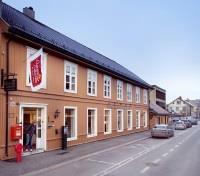 After your visit in Lom, you'll continue to Lillehammer for check-in. The Clarion Collection Hotel Hammer is a peaceful haven in Lillehammer, located among artisan and trading houses on the historic Storgaten pedestrian street. 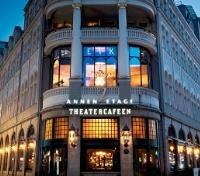 From here, the city's selection of over 120 different shops and restaurants is within reach. The hotel's 142 guestrooms are comfortable and modern, and offer free wifi internet access so you can stay connected. Furthermore, Lillehammer's main attractions are within a comfortable distance, such as the Lillehammer Art Museum, the Lillehammer Olympic Park and more. After an exciting day of sightseeing, relax and enjoy the hotel's sauna for some peace and quiet. After check-out this morning, you'll depart with your driver-guide for a transfer to the renowned Norwegian capital, Oslo. As you depart Lillehammer, you'll visit the Lysgardsbakkene Ski Jumping Arena, giving you a glimpse of where the athletes of the '94 Winter Games did their impressive jumps in front of a roaring crowd. Then, visit the nearby Maihaugen Open Air Museum, with nearly 200 preserved buildings dating back as far as the 1200's, including the Garmo stave church. Perfectly representing life in the Gudbrandsdalen Valley from centuries ago, meet 'farmers' and their families, all in period wear. 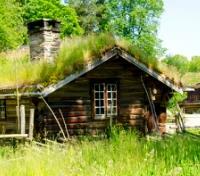 Later, you will drive along the lake Mjoesa to Hamar, and eventually to Oslo. After a final day of service, bid farewell to your dedicated driver-guide today as they make their way back to Bergen. Oslo's refined Hotel Continental, a member of the Leading Hotels of the World group, has been built and developed into one of Norway's finest hotels by the dedication and leadership of a single family's four generations of hosts. 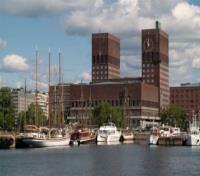 Offering 153 luxurious rooms and suites in the very heart of the city, Hotel Continental puts you within walking distance of a number of Oslo's highlights, including Aker Brygge, the Royal Palace, the Parliament building, and the National Theater. Each guestroom room has its own distinctive character, where classic elements are combined with modern design and functionality. With five restaurants and bars on-site, you're well situated for everything from a comprehensive breakfast buffet and tasty lunches to dinners accompanied by fine wines or refreshments in the company of good friends. 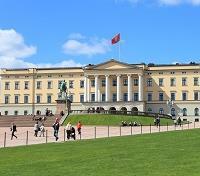 Today you’ll set out on a half-day walking tour with a private guide, exploring the heart of Oslo, the Norwegian capital. Walk the ramparts of the 13th century Akershus Fortress, medieval residence of the royals with a coastal view. Discover the city’s main street Karl Johans gate, rich with Oslo’s highlights, where you can admire the likes of the 19th century Royal Palace, and stroll part of the surrounding 54-acre public green space known as Palace Park, with its finely kept grounds. See the 17th century Oslo Cathedral, admire some of the grandiose old university buildings, and venture over to Radhusplassen where you can view the Radhus, Oslo’s City Hall where the annual Nobel Peace Prize ceremony is held. We booked a trip to Paris for our 20th Anniversary. The trip was wonderful! We were able to customize our trip with our tour expert, Julie, and our trip was great. I absolutely loved our two guides, Robert (Cardiff Walking Tour) and Noel Clawson, our guide throughout our trip. They are two very special people. The tour in Wales was perfect! Our entire trip was very well designed to fit our schedule and preferences. The on-site guides and drivers were excellent. They were very professional and friendly. 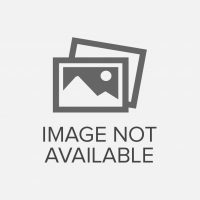 We asked for guides that were knowledgeable of Cambridge and Oxford Universities, and we were very satisfied with both guides. Thank you for making our trip one of the best we have experienced. The hotels, guides, transportation, food and city tours of Barcelona, San Sebastián, Bilbao and Madrid were amazing! I would highly recommend the Kensington Culinary Trip to Spain to others. We really enjoyed our tour guide in Rome that took us to Vatican City - very friendly and informative. Edita was amazing with all her help in arranging everything. The hotels were all fantastic, along with the transportation between the Greek Islands and hotels - everything was great. The local guides were friendly and fun as well. I was very happy with all the assistance I received. Our guides were knowledgeable and kind beyond expectation, and were extremely amenable to our requests. The tour expert was very patient and knowledgeable as well, and truly had our travel wishes in mind when creating our trip to Poland. It was a wonderful and amazing life changing experience! Outstanding tour. The guides were all great. Everything was top notch.